Find and share your next destination!! 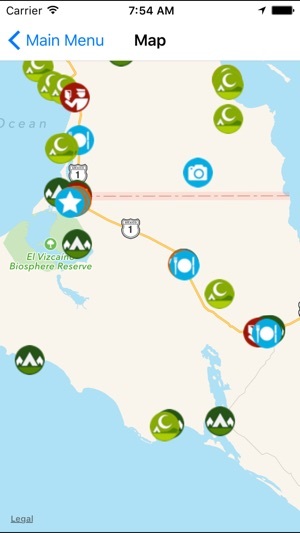 iOverlander is a database of places for overlanders and travelers. It includes camping, hotels, restaurants, mechanics, water, propane filling and may other categories. 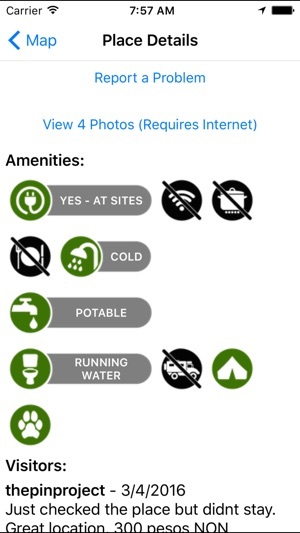 Details are listed for each place, including amenities, photos, date last visited and GPS coordinates. Search our listings or browse on a map! 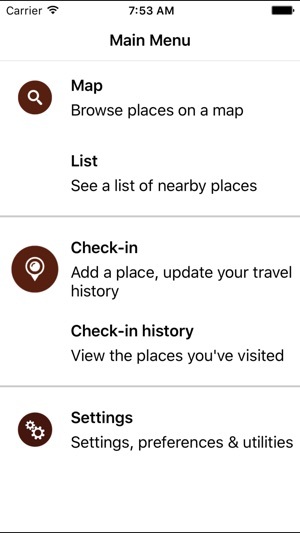 In addition to finding places, you can add new places, record your trip, and share places with friends or other travelers. All of these features will work offline, except you will not be able to view the map. "We have been on the road for over a year and have been using iOverlander all through Central America. It had been immensely helpful in finding the perfect 'away from civilization' spots, especially when arriving in a new area late in the day when we have little daylight hours to explore. The app has been an invaluable tool, allowing us to experience spots our friends have raved about and share our own favorites as well. 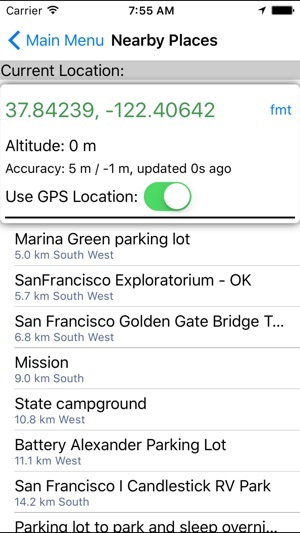 We also love that it can locate our GPS location even when we don't have phone service. A must have travel app for sure!" "An overlander must have for Central and South America, you know all those blogs you have been taking notes from to find the good camp spots? Well they are all here now, in one easy to use app. We have found some spectacular spots through the app and have share the best of the ones we have found. Whether you are looking for paid with services or off the grid this app has you covered... And as it is open source you can add to the adventure." 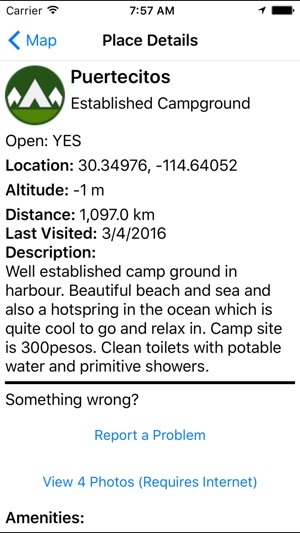 "Great App if you are traveling the Panamericana with your camper. It helps you finding the best camping spot with detailed descriptions of the same. Absolutely helpful and a must have for all the overlanders!" So what are you waiting for? Start exploring with iOverlander today! Who cares that the UI looks like it’s for the original iPhone??? It’s an extremely useful app. I’m planning my road trip across the US with 15 different stops and am able to know I’ve got a place to park even when I’ve never been to a specific city. It is the app that all "round the world" must have in their tablets or smartphone. Waypoints are added daily by travelers and updated bi-weekly by the developer. Info includes gas station, mechanics, hotel/hotels, campground, wild camping sites, warning of thief/corrupted police seeking bribe, border crossing details, insurance agents, etc. Used this app everyday in our van trip across Baja, prob would’a died or went to jail with out it! Thanks everyone for the amazing content! I’ve added a lot of helpful spots along the journey!